When it comes to Mash-Up Weddings, all you need is love. And planning. And communication. Oh, and mutual respect for differing cultures. And parents. And traditions. And bilingual priests. Maybe a translator? And, ultimately, a willingness to make a celebration and a relationship and a future all your own. And that can be daunting! So we’re thrilled to launch our series of Mash-Up Wedding photo essays, to provide inspiration and ideas for your own celebration. 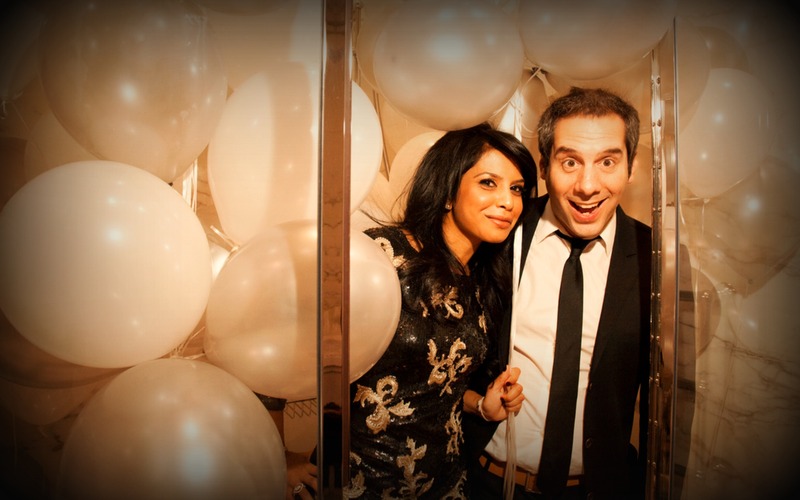 First up: Our dear Mash-Ups Ruchir Shah and Sarah Charukesnant. 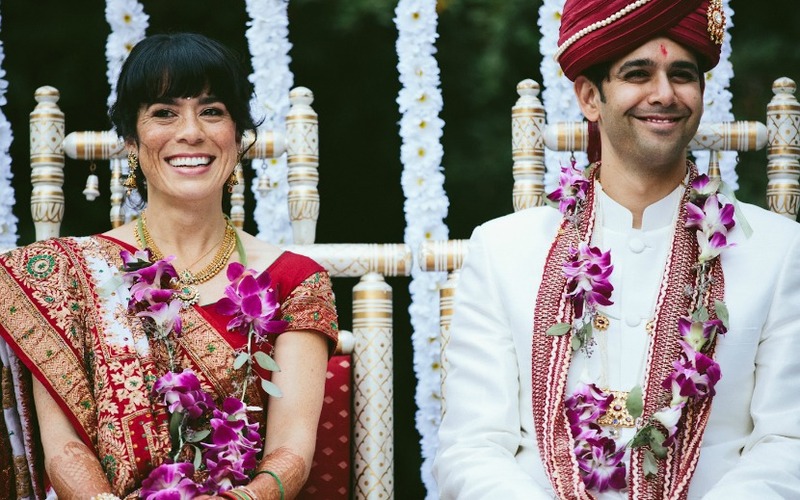 Ruch is first-generation Indian-American. 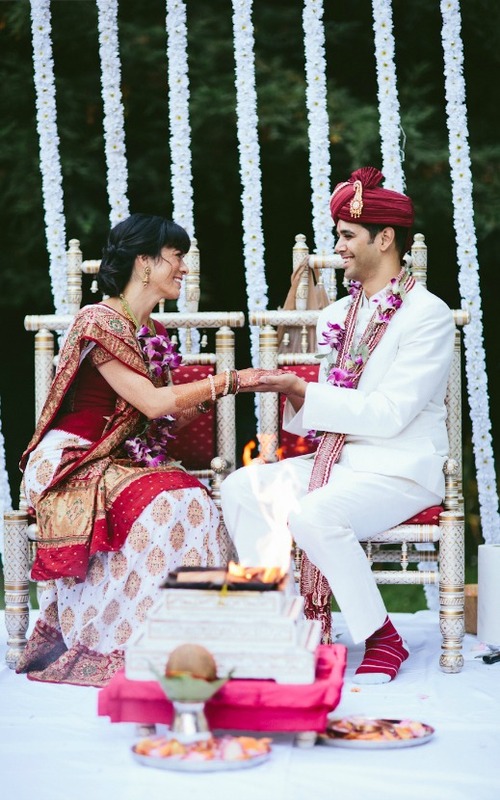 His parents hail from Gujarat, India, and he grew up in the Chicago suburbs. Sarah is hapa haole, with a Thai-Chinese dad and American mom, who grew up in Central California. He’s Hindu. She’s Buddhist. They met and fell in love in San Francisco. 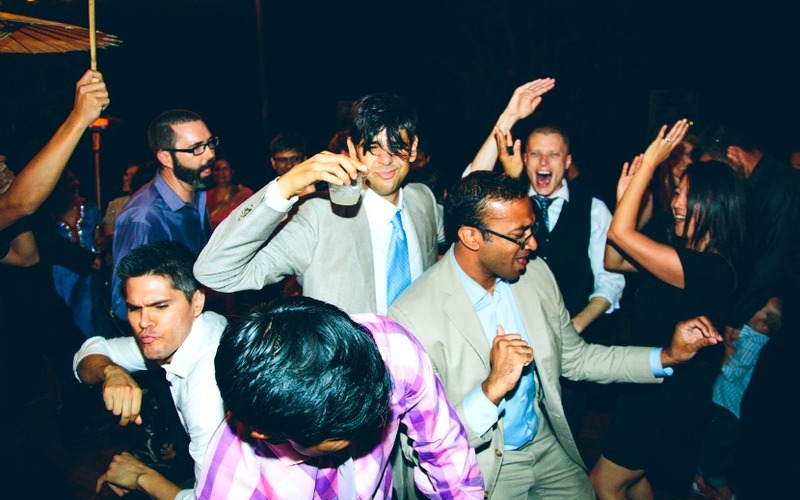 Let them show you how a Mash-Up Wedding is done. The day after Ruch proposed in April, 2012, he had one more surprise for Sarah: 40 of their closest friends joined them for a trip to Napa. 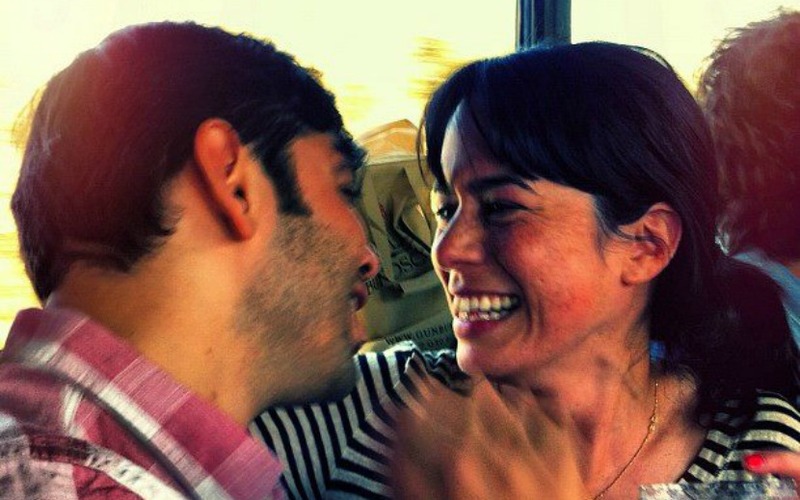 Here they are on a party bus with their best buds, on their way to celebrate their engagement. Speaking of wine, you may want to pour a glass to prepare for these pictures of their gorgeous wedding. Sarah’s family practices Buddhism and have been attending Wat Buddhanusorn in Fremont, Calif., since Sarah was a child. 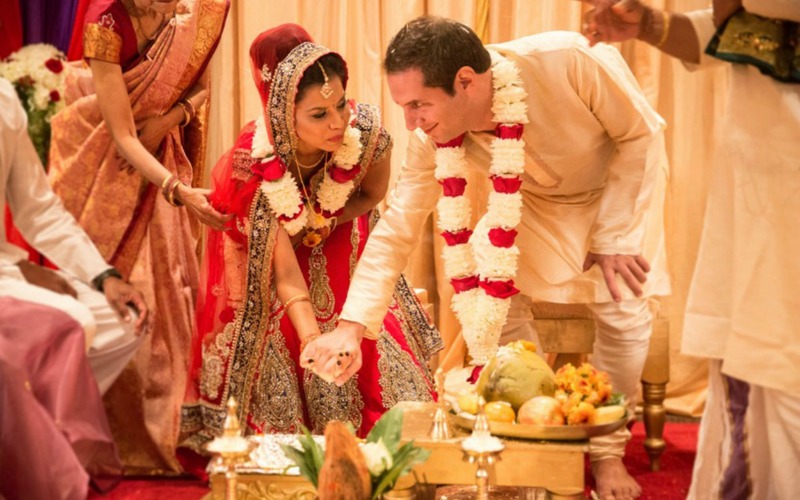 Sarah and Ruch kicked off their wedding festivities by donating goods to the temple and making merit. Ajahn Prasert, who has been Sarah’s spiritual advisor for more than 30 years, oversaw the ceremony. Ruch and Sarah then participated in the Thai traditional water ceremony, where they receive words of wisdom and blessings from their elders, friends and family. From Fremont, the festivities moved back to wine country. 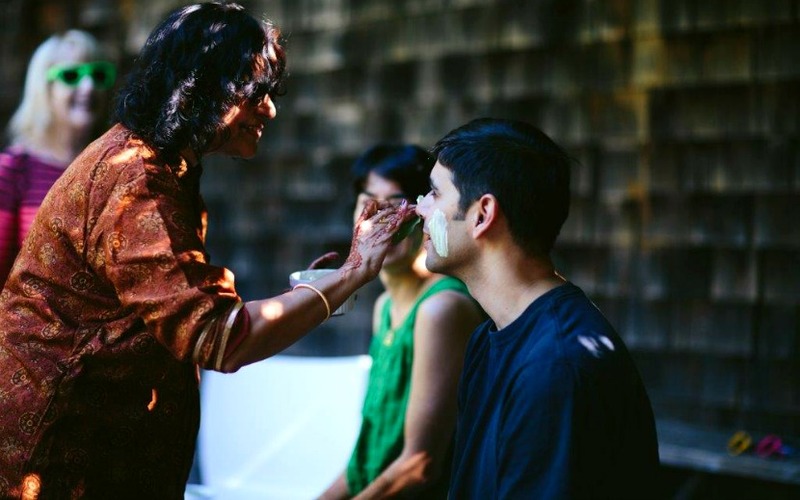 Family and friends converged at Dawn Ranch Lodge, in Russian River, Calif., for a night of mehndi, or henna tattooing, with two mehndi artists and a lot of delicious pizza. 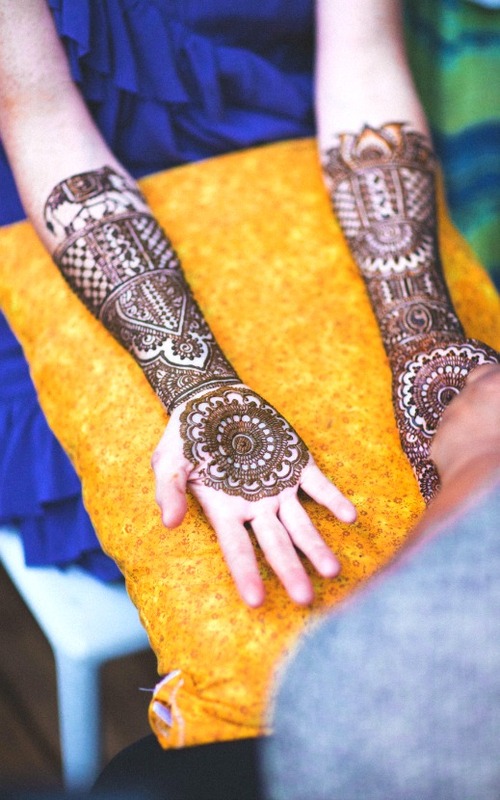 Here is Sarah’s gorgeous bridal mehndi. The elephant and lotus shapes reflect her Thai and Buddhist roots. 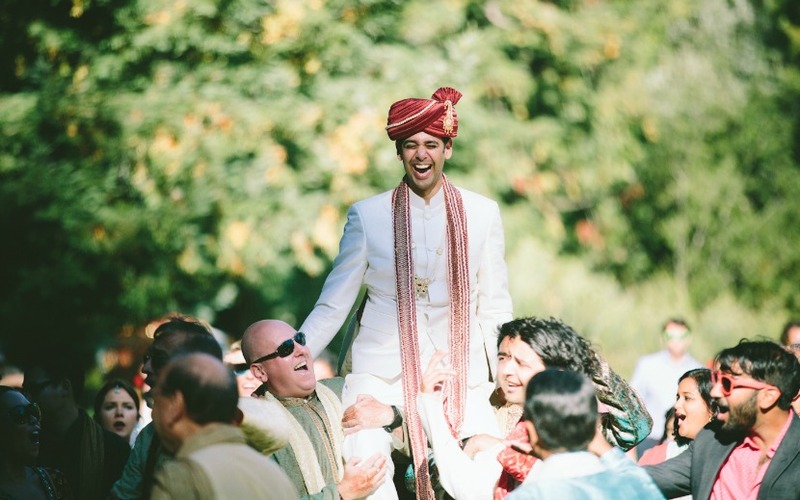 Ruch had a celebratory baraat leading up to the Hindu ceremony. 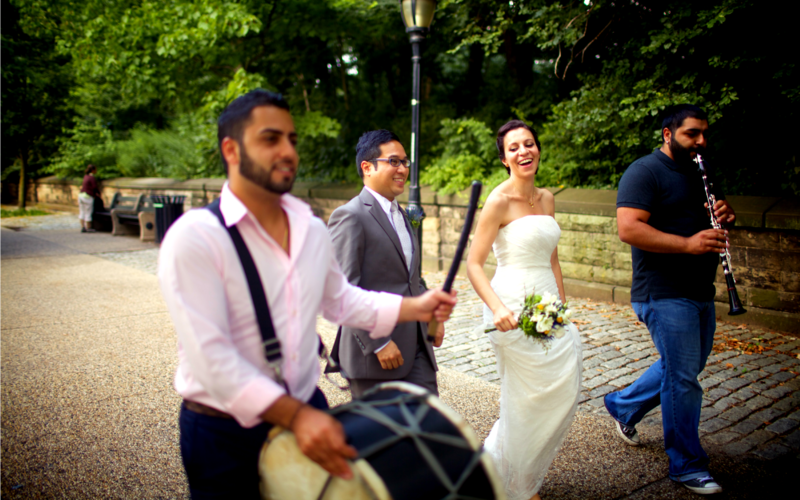 A baraat is the groom’s wedding procession, where his family and friends, plus musicians and drummers, dance their way to the wedding. Ruch started off on a horse; somewhere along the way, he ended up on his friends’ shoulders. Let us love and care for each other in sickness and in health. Let us be strong and complement each other. Let us increase our prosperity by righteous, proper means. Let us gain knowledge and happiness by mutual love, respect, and trust. Let us be blessed with healthy and happy children. Let us live in perfect harmony. Let us be true companions and remain lifelong partners. That’s it. That’s what they’re doing here. Also, her sari. Of course there was more food. 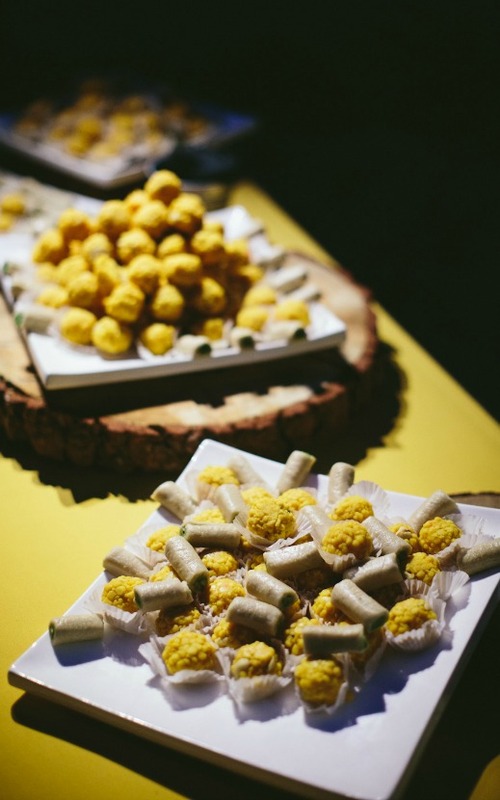 After the Hindu ceremony came a buffet of vegetarian Thai and Indian food, replete with traditional Indian sweets. After dinner, dancing! 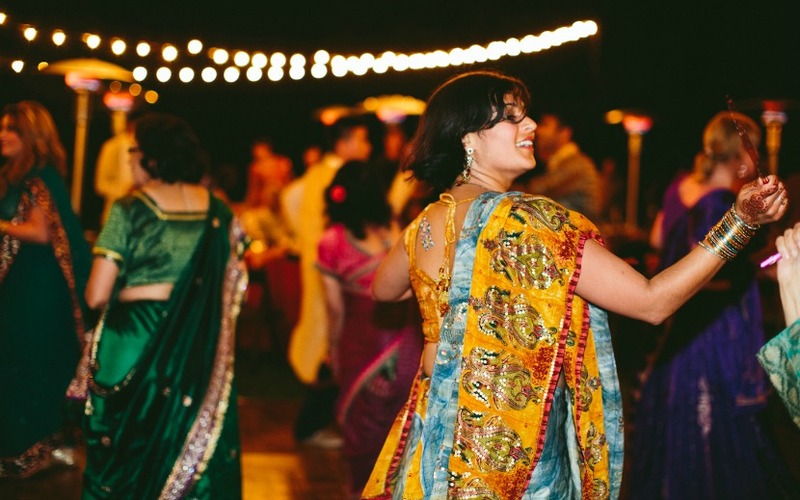 Everybody got in on a garba raas, a crazy fun dance rooted in Gujarati folk traditions. There were sticks. There was choreography (loosely followed). There were aunties and cousins and friends with sticks and choreography. She’s an American lady and wanted a white dress. And she looked glorious. The day following the saptapadi, Ruch, Sarah, and their guests gathered for a non-traditional “traditional” American wedding. 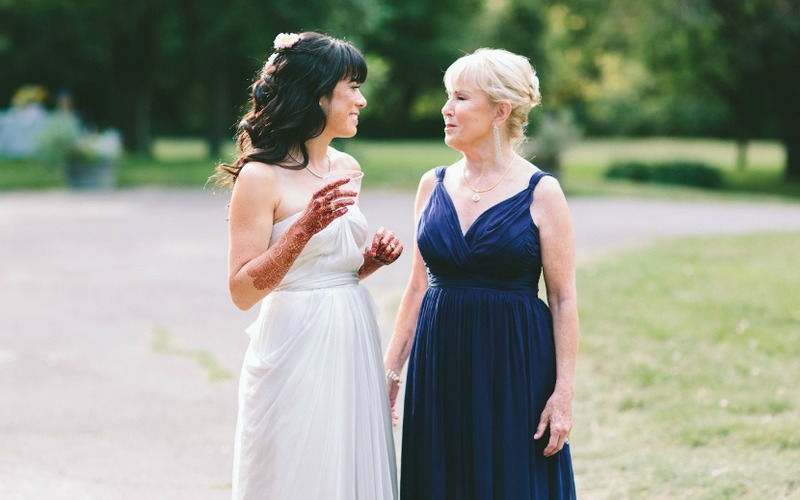 Here are Sarah and her mom, moments before the ceremony. 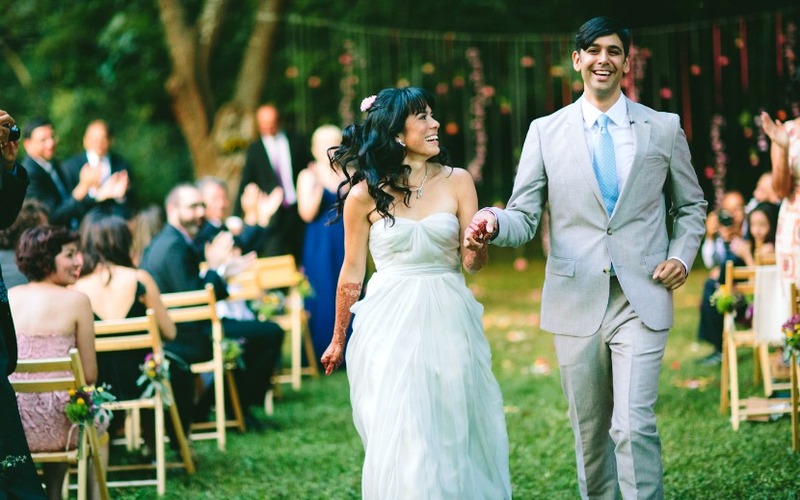 Ruch and Sarah’s American ceremony was what we call a mega-mash-up. It was officiated by their dear friends Scott Jones and Chrysty Esperanza, another mash-up couple, whose own mash-up kids led the way down the aisle. Third time’s the charm, right? Here’s Ruch and some of his besties. 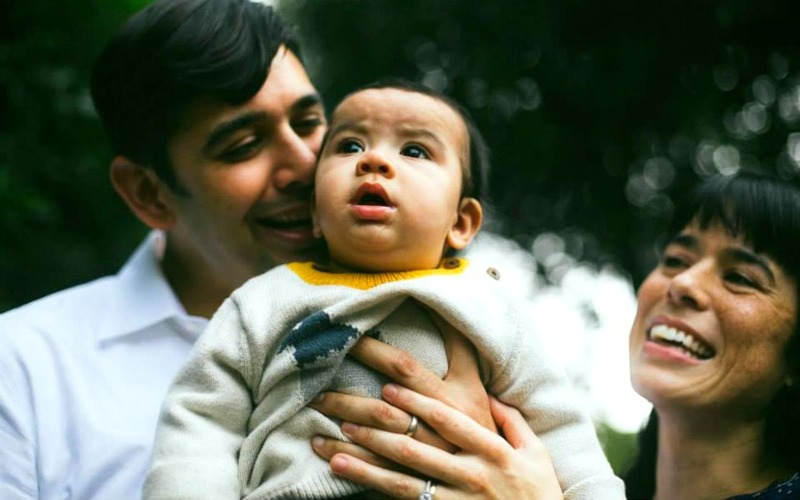 Mash-Up Baby Cuteness Overload Alert: Lake Sumit Dilip Shah was born in July, 2014 to this lovely couple. The future of Mash-Up America looks good. 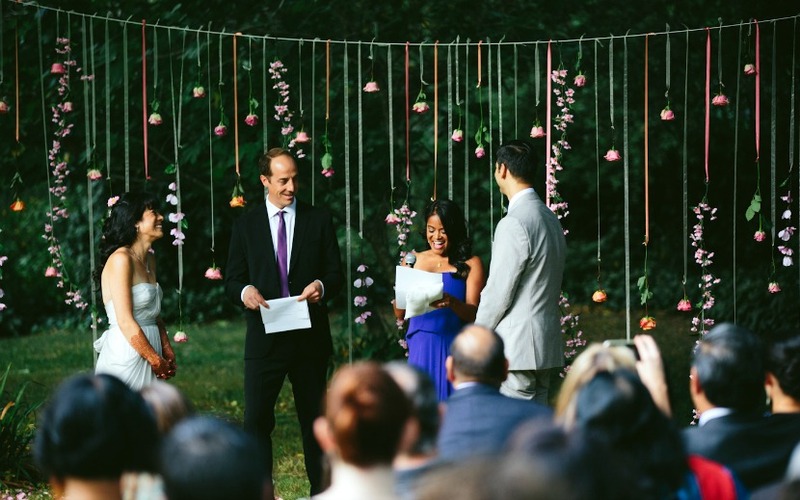 Do you have a Mash-Up Wedding you’d like to share? Email us at yo@mashupamericans.com and you could be featured next! Hindu by Birth. Hind-Jew by Marriage.